I enjoyed this front-line review on the application of Periscope employed as a real-time marketing tool at an established trade show event. 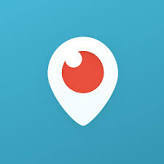 Periscope enables live webcasting from your smart phone. This app, now owned by Twitter, launched in March and they’ve just announced that they’ve signed up over 10 million Periscope accounts. Nipping at the heels of Periscope is Meerkat, which created a lot of buzz at South by Southwest this year. B2B events producers would be advised to keep an eye on these tools that put the power of “presence” into the hands of your clients.